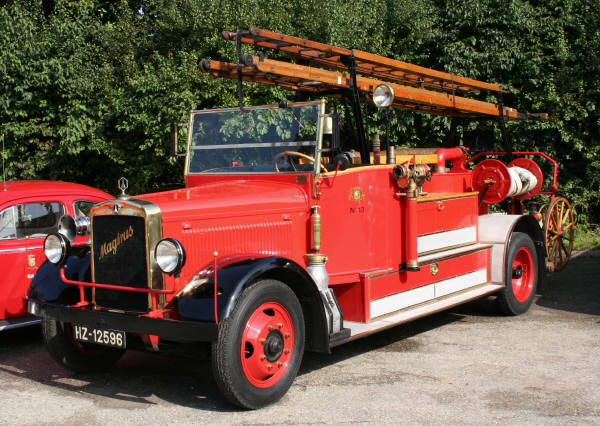 This is a 1932 Magirus S88 pumper with Geesink bodywork and a Magirus pump. it service the Den Haag (The Hague) fire brigade for many years. and is the last one left of four pumpers of this type. Having seen the comments about the Japanese carrying a hand hose cart behind the engine this appears to be the case also with this appliance. Added by Dave Hayward on 08 February 2007.